Organized by religion rather than by topic, it includes beliefs about prayer from the six major world religions, appropriate clip-art of Holy Places and symbols, and a diverse selection of representative prayers for each religion. 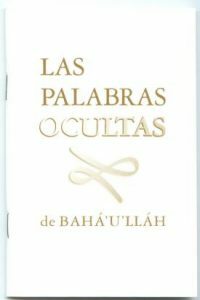 The section on Bahá’í prayers includes a brief description of the Faith and Bahá’u’lláh, some writings on the unity of religion, and several of your favorite prayers. It would make an excellent first-exposure introduction. 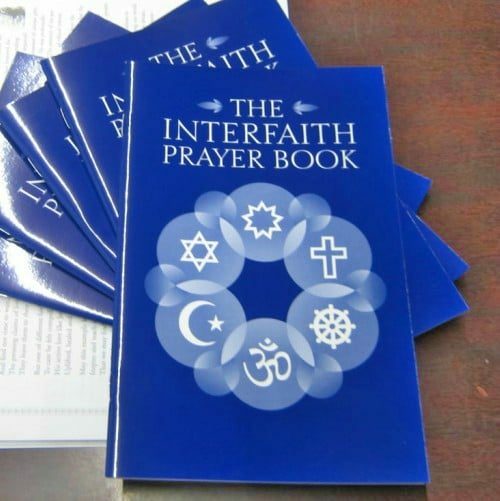 The Interfaith Prayer book is organized by religion rather than by topic. 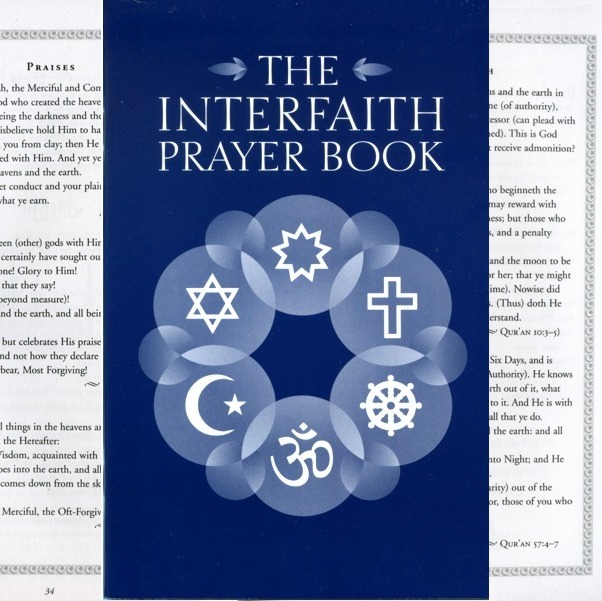 It includes beliefs about prayer from the six major world religions, appropriate clip-art of Holy Places and symbols, and a diverse selection of representative prayers for each religion. 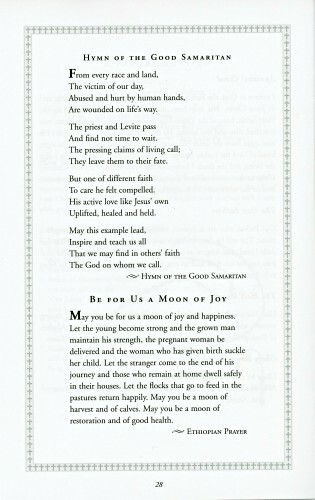 Bahá’ís will want to bring a stack of these to every devotional meeting, Holy Day or interfaith meeting that they go to. Non-Bahá’ís will be touched and impressed that we practice what we preach by including devotional writings from other religions in our services. 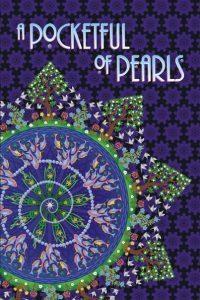 Both Bahá’ís and seekers will find a wealth of interesting and inspiring information in this nicely produced, incredibly inexpensive booklet. 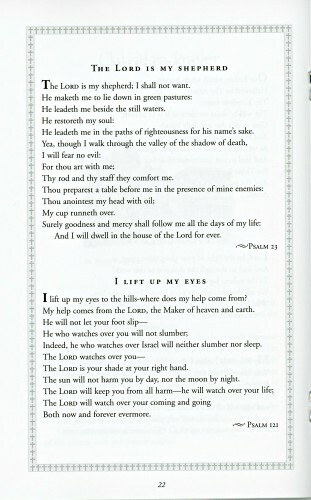 Consider giving these as gifts at literature tables, or distribute them to hotels, nursing homes, hospital chapels, airport chapels, and anywhere else that diverse or open-minded people might be interested in saying prayers. You get 5 booklets for $10.00 or 20 for only $30.00. Looking for something a little more comprehensive to give as a gift? 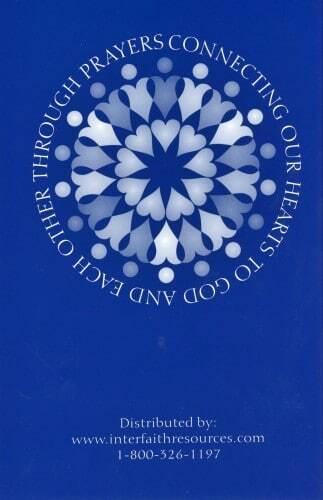 Consider our new Expanded Deluxe edition of the Interfaith Prayer Book. It is twice as long and includes eight additional faith traditions.